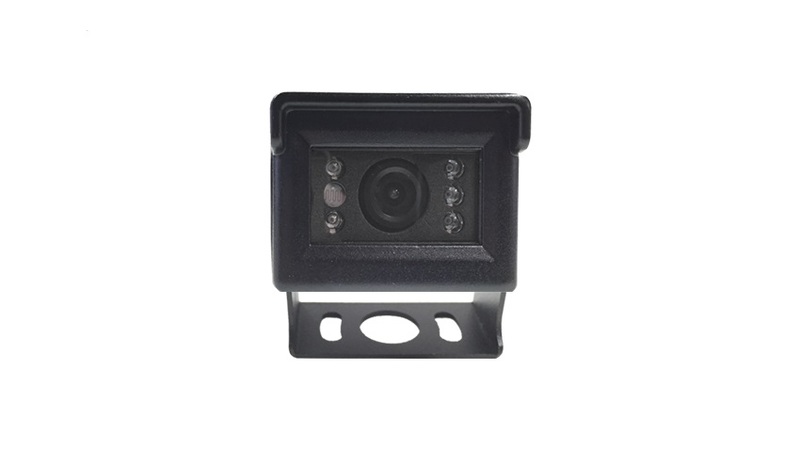 The RV Box cameras are meant to be placed on the roof or the back of your vehicle (Usually RV, Van or Trailer) These series of trailer camera are built on a u-bracket frame that will allow you an 180-degree range of motion. 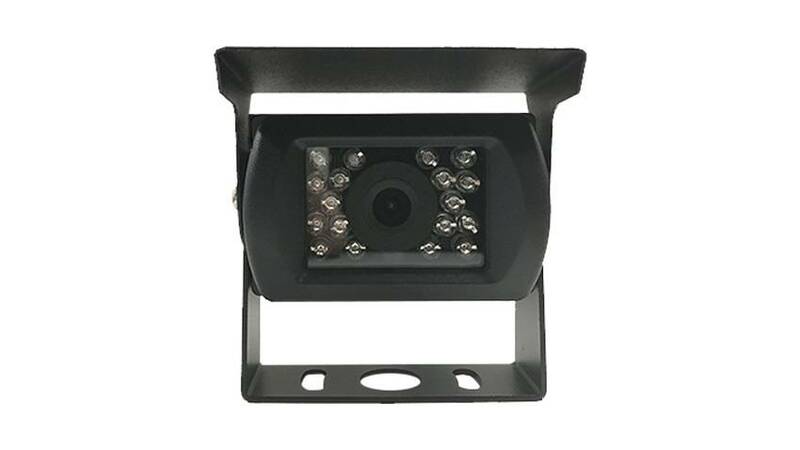 All of our trailer cameras come with the default features of standard definition (CMOS), 120- Degree horizontal view, Night Vision, and Black housing. But all of those features can be customized and configured to fit your exact needs. 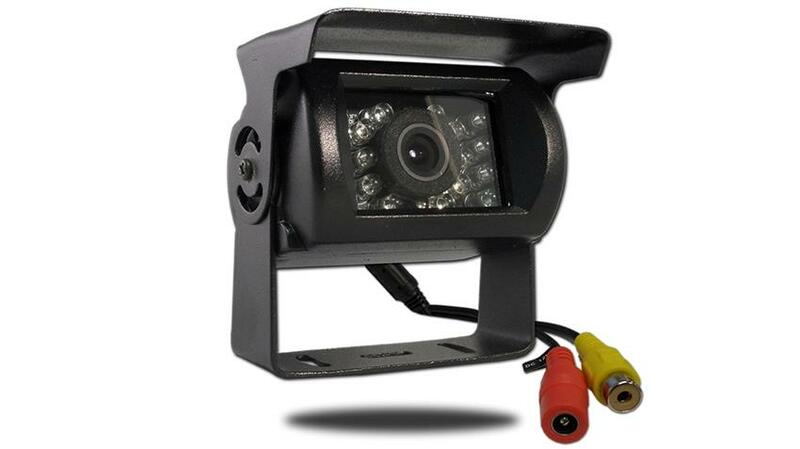 As of this year, our RV trailer cameras are available in Black, White, And Silver! 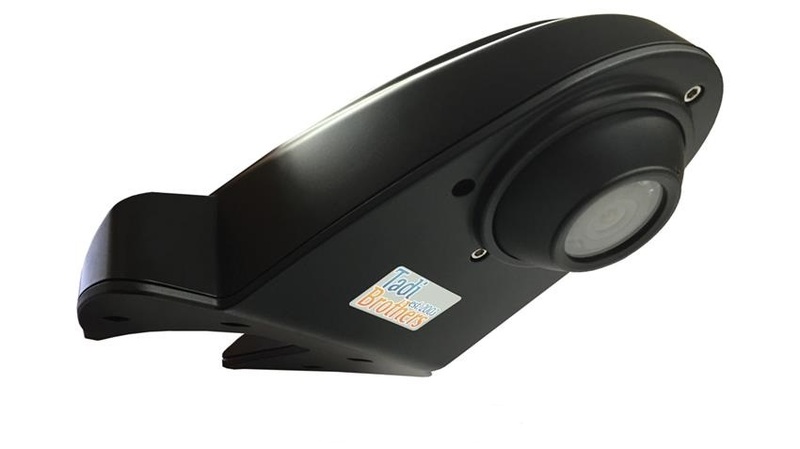 Is a bird’s eye view camera on a u-bracket that is meant to be mounted on the top of your roof and pointed backward. It has a CMOS lens with night vision. Available in Wireless and wired. Is built with heavy duty metal casing that will withstand the harshest of environments (Hot and Cold) it has a static sun shield that gives it a very sturdy build. This is a very popular camera in the commercial vehicle industry. This heavy duty backup camera meets even the most rigid performance expectations. The military grade night vision makes it possible to navigate treacherous dark roads with ease. You have the option to set it up for continuous use or only when the vehicle shifts into reverse. The CCD lens is the best on the market providing crystal-clear clarity. The HD picture is in full color so you know you are getting an accurate portrayal of what is behind you. Installing this heavy duty backup camera is simple and intuitive, and everything you need is included in the box. Just choose the monitor that fits your needs and you are ready to go. 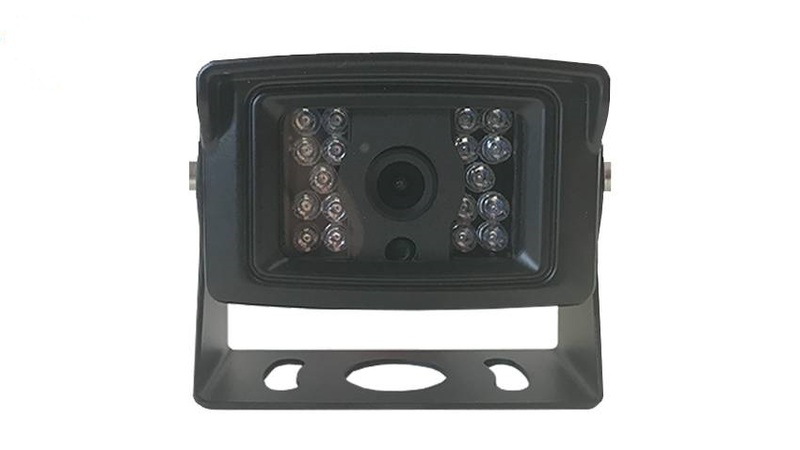 Has all the features and potential upgrades of our standard box camera but it also includes a built-in heated lens which makes it the perfect backup camera for snow plows and salt trucks. Is the perfect addition to any large (Long) vehicle, with 2 lenses in a single adjustable housing, you can have the best of both worlds. You can point 1 lens at the hitch and the 2nd sense down the road. 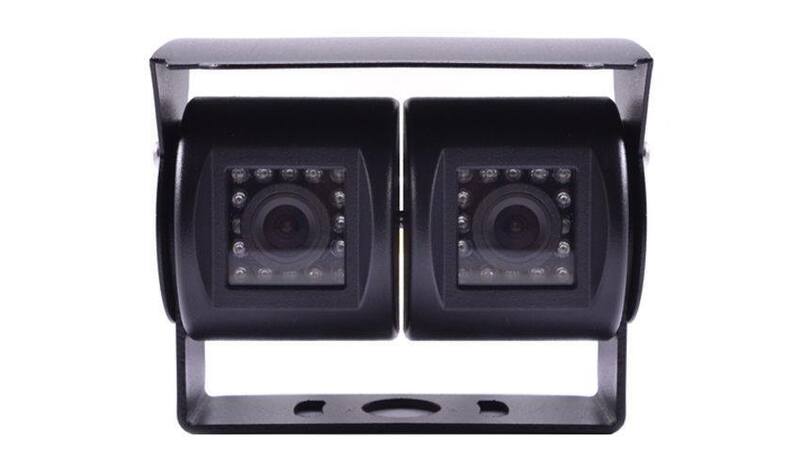 Both cameras (Like all of our backup cameras) can be on continuously while you are driving day or night. This rearview camera is designed with a high-resolution CCD lens, ensuring that your picture quality is never obstructed. Additionally, the 120° viewable angle enables you to easily adjust your visual aspect as needed. The camera is the WIDEST on the market. There is nothing wider and there is no possible way to get a wider more panoramic view. You will see absolutely anything and everything behind you and to the sides as extreme as possible. If you are looking for a wide view backup camera look no further, you have found it. 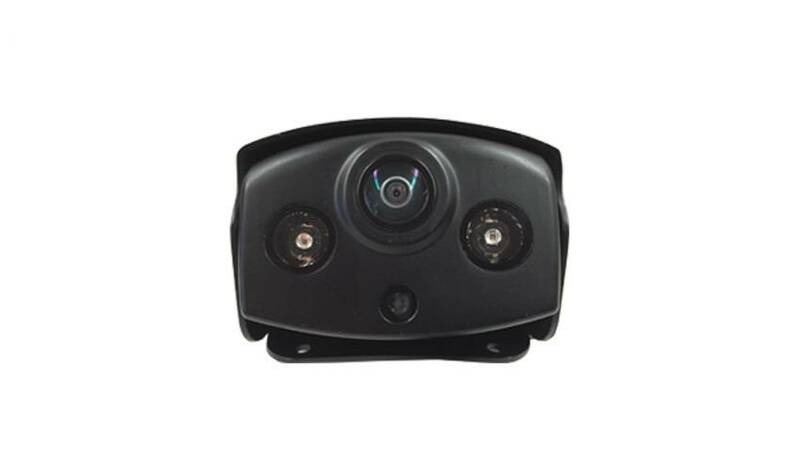 This camera is placed on the roof of your vehicle and pointed backward, the long neck allows your camera to be pointed directly at your hitch but it is on a ball which allows you to also point it down the road. This is a very popular backup camera with school busses and is great if you are concerned with rear view safety. The camera is THE MOST durable we have, with incredible adjustability and night vision clarity. The Anti Explosion camera has a metal housing that will protect it from just about anything. 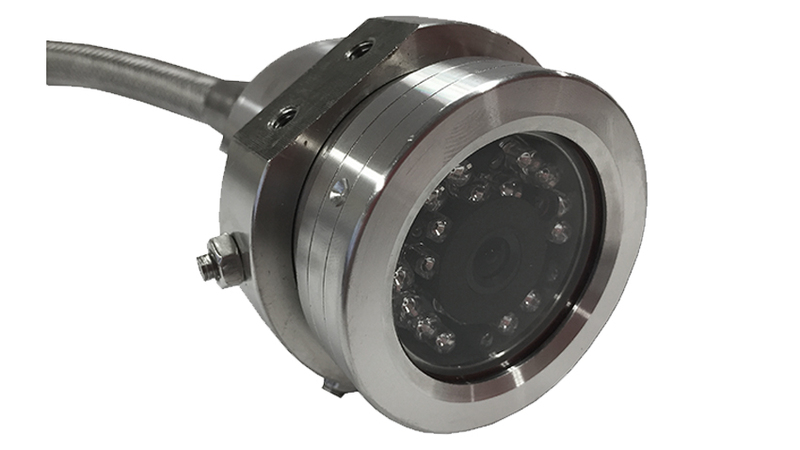 The anti-explosion camera is protected by a rugged metal housing with an IP rating of 69K.